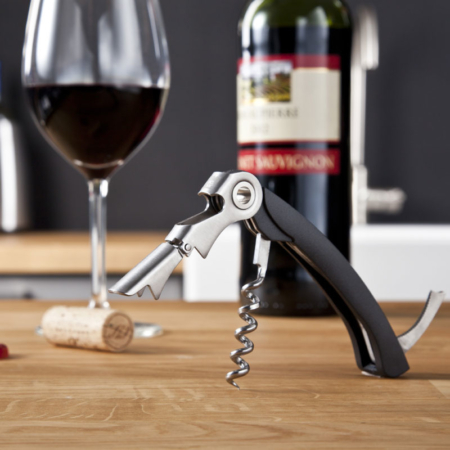 Remove your cork easily with the lever corkscrew of VacuVin. 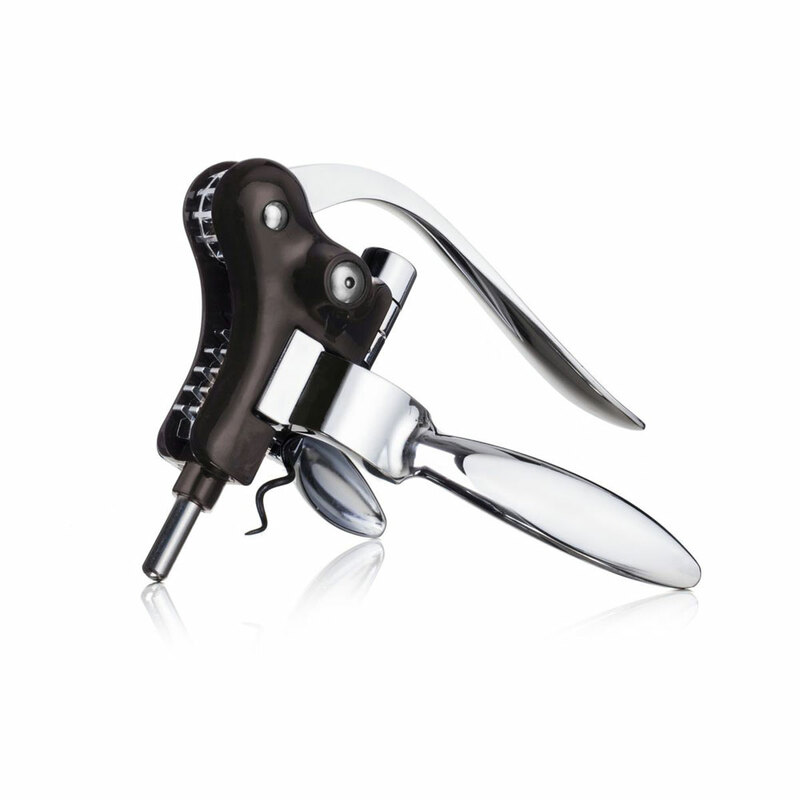 After removing the foil, put the corkscrew on top of the bottle and press the handles together to keep it in place. 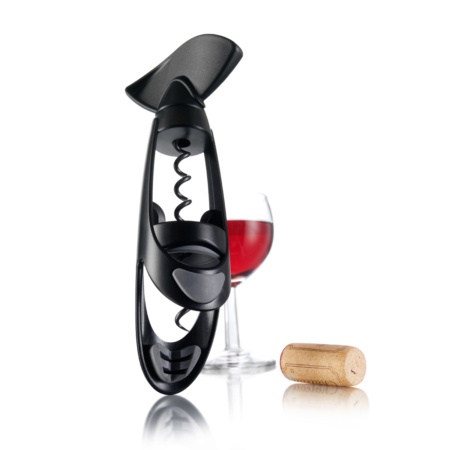 Simply pull the handle down to insert the spiral in the cork and upwards to extract.